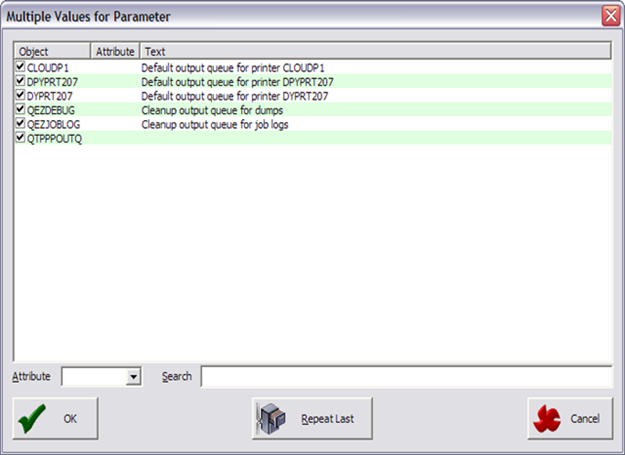 The following example shows a summary group on the left, created to monitor the number of spool files on specific queues, highlighting a threshold exception. 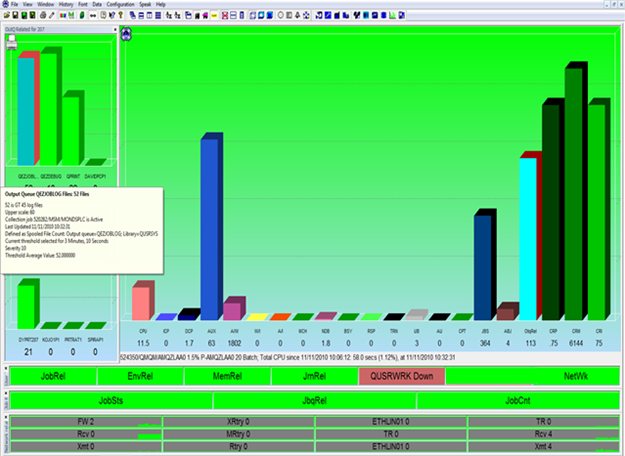 On the next screen change Value Calculation to Sum. 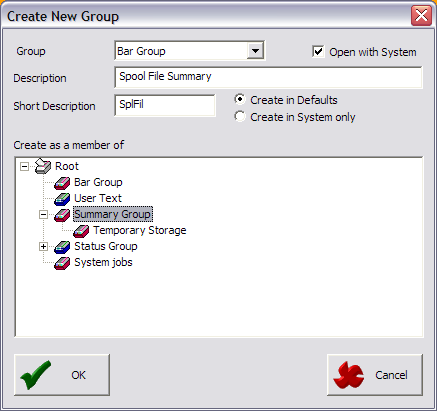 You have now created the top level group and need to populate it with the required elements. 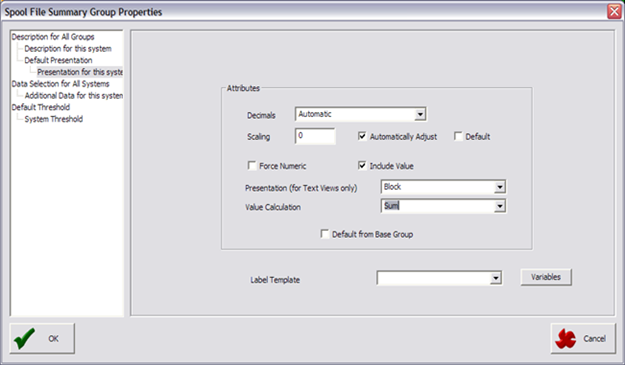 Right-click in the newly created group and select the Properties for “”. 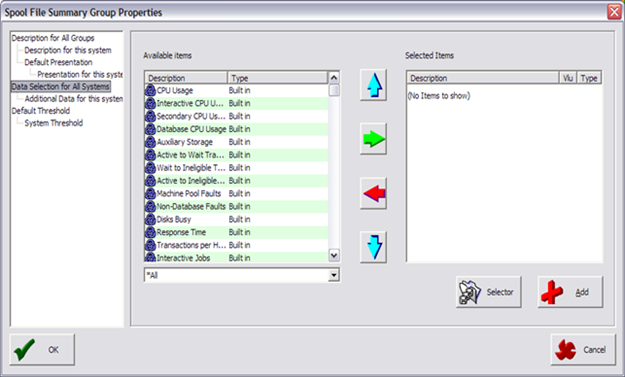 …to add entries from the Available Items list, or click the Add button to create some. 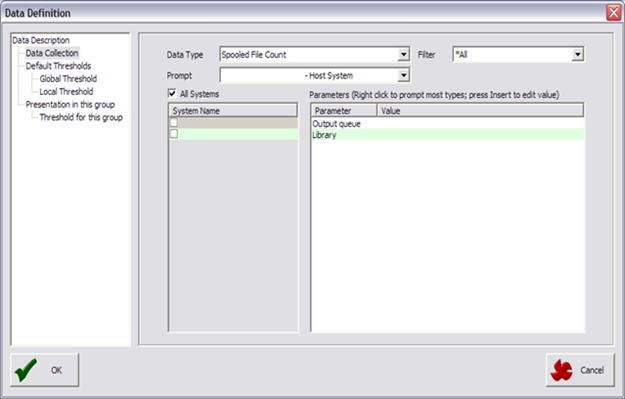 If monitors do not exist, create one for each library containing Output Queues that the customer wants to monitor. 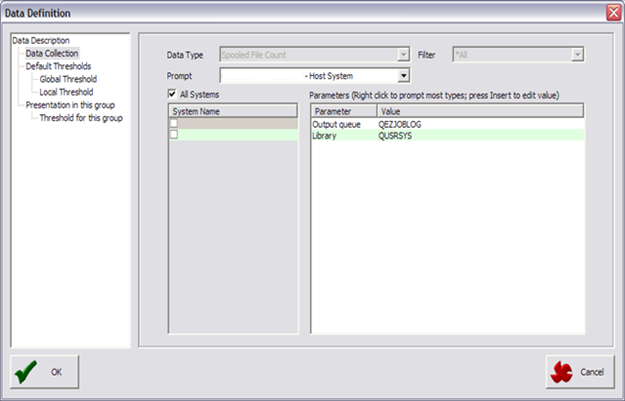 …or use the multiple element selection to select all queues per library at once. 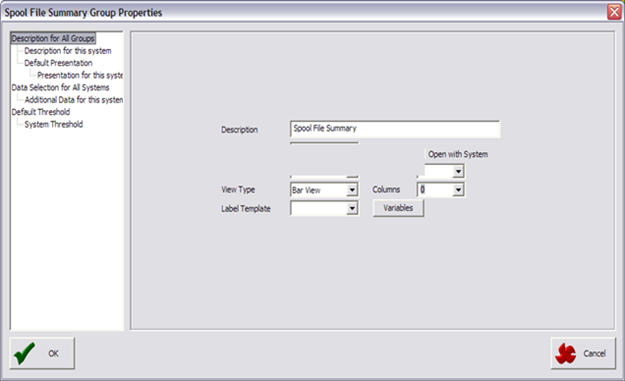 …so that the detail group can be closed, leaving just the total displayed and the exception still highlighted. 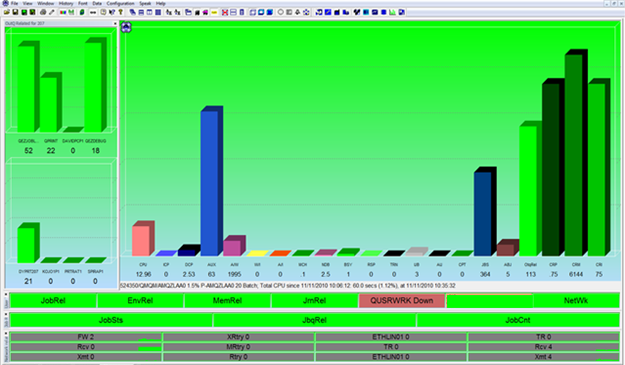 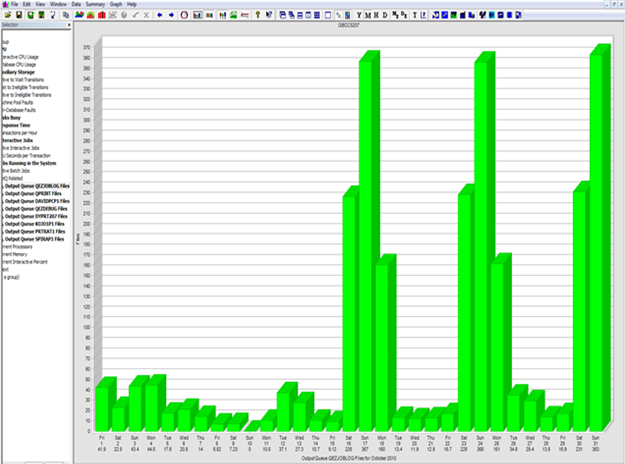 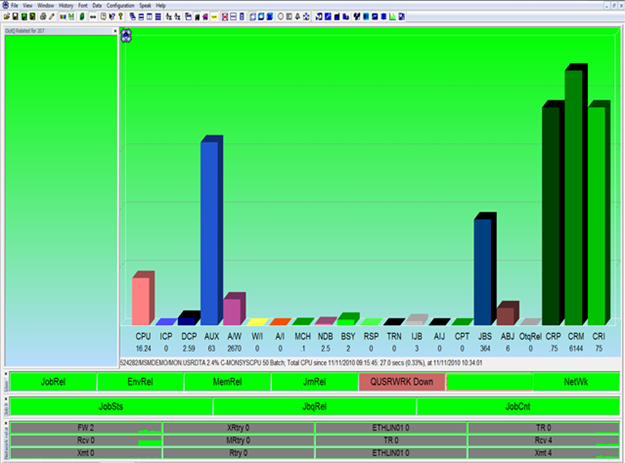 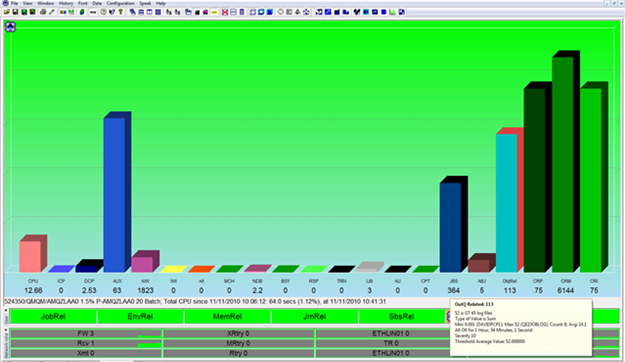 The History Summary can then be used to graphically show the number of spool files in detail or in summary.